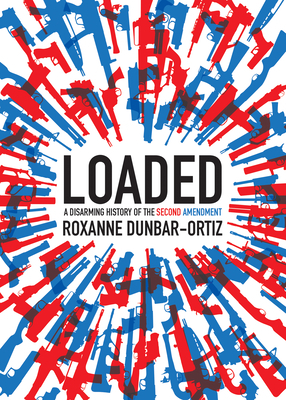 Loaded: A Disarming History of the Second Amendment, is a deeply researched--and deeply disturbing--history of guns and gun laws in the United States, from the original colonization of the country to the present. As historian and educator Dunbar-Ortiz explains, in order to understand the current obstacles to gun control, we must understand the history of U.S. guns, from their role in the "settling of America" and the early formation of the new nation, and continuing up to the present. Roxanne Dunbar-Ortiz grew up in rural Oklahoma, the daughter of a tenant farmer and part-Indian mother. She has been active in the international Indigenous movement for more than four decades and is known for her lifelong commitment to national and international social justice issues. After receiving her PhD in history at the University of California at Los Angeles, she taught in the newly established Native American Studies Program at California State University, Hayward, and helped found the Departments of Ethnic Studies and Women's Studies. Her 1977 book The Great Sioux Nation was the fundamental document at the first international conference on Indigenous peoples of the Americas, held at the United Nations' headquarters in Geneva. Dunbar-Ortiz is the author or editor of many books, including her acclaimed An Indigenous Peoples' History of the United States. She is the recipient of the Cultural Freedom Prize for Lifetime Achievement by the Lannan Foundation, and she lives in San Francisco, CA.